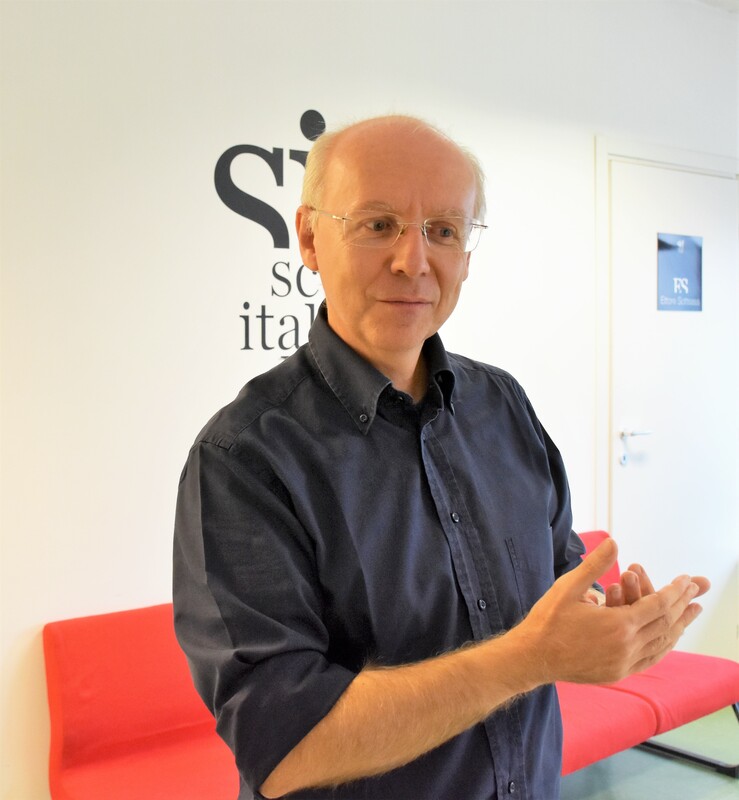 Spartaco Albertarelli, born 1963 in Milan, Italy, is a game designer with more than 130 games under his belt. Some of them are translated in many languages and distributed by different companies like Ravensburger, Fantasy Flight Games, Gigamic and now HeidelBÄR Games! 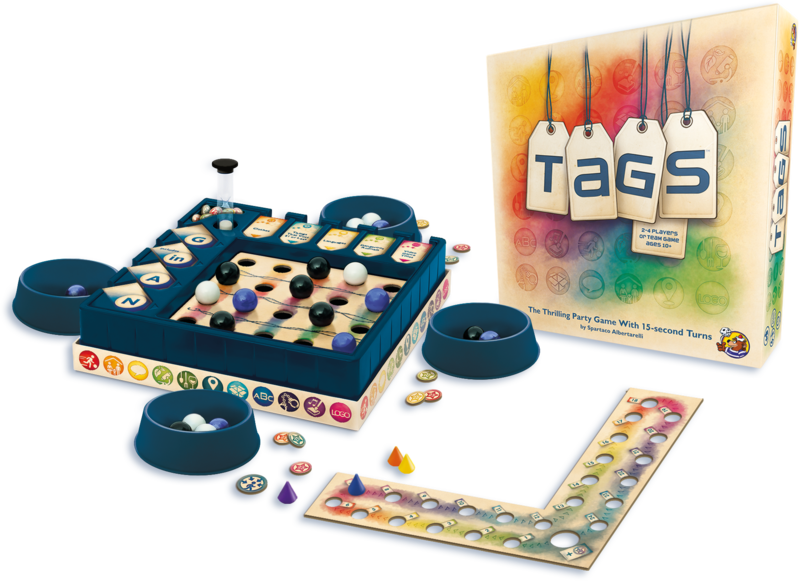 The fast-paced guessing game TAGS is based on the 1995 award-winning game Category. How many hours per week do you spend on playing board games? A lot… but it’s quite difficult to answer this. Becoming a professional boardgame designer sometimes means that you are not really “playing” anymore. You are attracted by a game concept, by an original design idea, so you are more focused on the reaction of the players than on “playing” the game. Sometimes I simply read the rules without playing the game. Can you ever play just for fun, or is your brain always making you think about game mechanics and stuff? I’d like to say that I’m still playing for fun, but the reality is that my brain is always 100% focused on analyzing the game mechanics and, even more, the players’ reactions to the game. Mark Twain once said, there are no new ideas, but only new combinations of already existing ideas. What do you think? Is there a certain type of games you absolutely love or hate? I’m from an old generation of players, and I really love playing to win. Although winning is not the main reason why I play games, I don’t like cooperative games all that much. On the other hand, I’m not a strongly competitive person, so I don’t like abstract games for two players, because I mainly play for interacting with the other players. That said, Quarto and The Grizzled are among my all-time favorites… So, no I don’t “hate” any kind of game. For the opposite reason I don’t love any specific kind of game, I love the people I’m playing with, so if there is a game that can please them, that’s the game I love (at least for one night…). What would a perfect boardgame look like? Perfection doesn’t exist. A game can be perfect for a group of players and totally boring for another group, but theoretically speaking, when the winner can say “I was the best” and the other ones can say “We were simply unlucky”, that game has a good chance to be “perfect”. 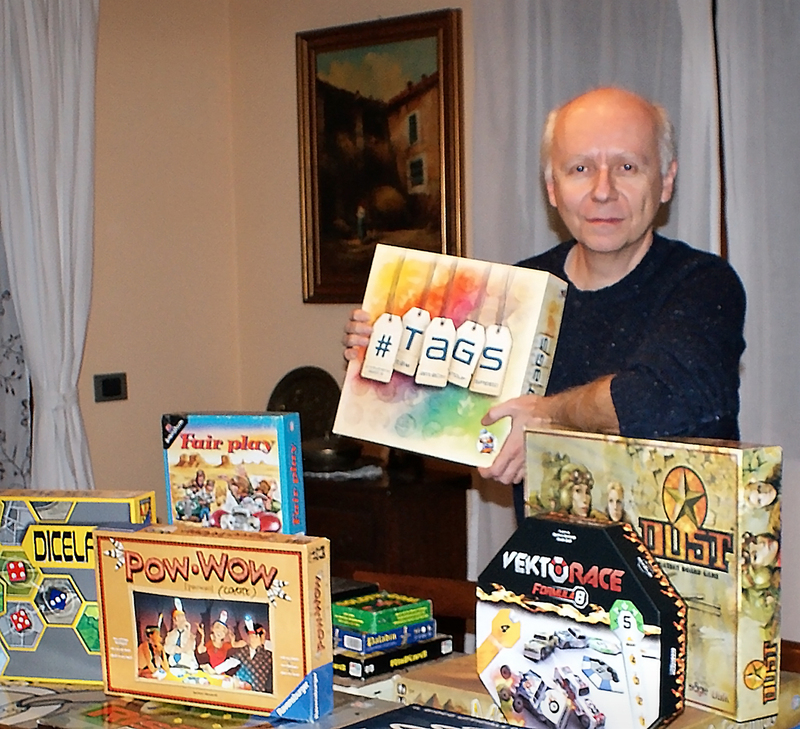 Are you a boardgame collector? Do you have hobbies besides board games? Do you still have a dayjob besides designing board games? My day job is working on board games and it was my very first job. I’ve been product manager of games like Monopoly or Dungeons and Dragons before designing my very first title on my own. I used to be a journalist before starting my career in the game industry, but I quit very soon, continuing working on games. What is your personal favorite amongst your own games and why? When you become a professional designer your main interest is the fun people have playing your games, so it’s quite difficult to have a favorite one, but if you are putting a toy gun to my head, I would say Coyote, because it’s very likely the “silliest” one, with a lot of different editions all around the world. But if you ask me the same question next year I might say VektoRace, not because it’s the last one I designed, but because it’s been developing in a very strange and funny way and I’m really curious to see where this game can lead me in the future. Can you bear playing your own games after they are published? Yes I can. Not all of them of course, but I like to attend game shows and play my games without saying I’m the author. It’s a wonderful experience, that gives you always an incredible amount of useful feedback. TAGS is based on the 1995 award-winning game Category. What was your spontaneous reaction when Harald, the owner of Heidelberger Spieleverlag, approached you about a revised version? I was really happy to see that an “old” idea was still worth publishing. I always thought that the game concept was really good, but of course it needed some “modern restyling” and I’ve been really happy to see the great work done by Harald’s staff. Looking at this box reminds me of a very good friend and a great person in the board gaming industry, and I’m really proud that this is also the first game published by HeidelBaer. What do you like the most about the boardgame industry? What do you dislike the most? I really like the feeling that every year seems to be a completely new one. We always think we created something totally new and if something went wrong the year before, now it’s a new year… I have a lot of good friends in the game industry and I like the feeling of being part of a market made by honest people. I feel a lot of camaraderie among most of the people who work in this market. What I don’t like is the “vanity fair” that’s been growing in the industry within the last few years. Being a game designer is great, but we are not inventing the cure for cancer. When I see a game designer who has a non-gaming day job, coming to a game show with dozens of prototypes in his bag I can’t stop thinking “when did you find the time to test them all?” Then, he shows you the millionth variation of Memory, introducing it as a “brilliant new concept”. It’s something that didn’t happen years ago, but it means that the market is growing and that’s good. If you by some means wound up winning $10 million, what would you change? A lot of money to print some good quality games just for the pleasure of it, no matter about quantities, no “business model” to follow. I would be happy to keep doing my everyday job without the everyday worries.